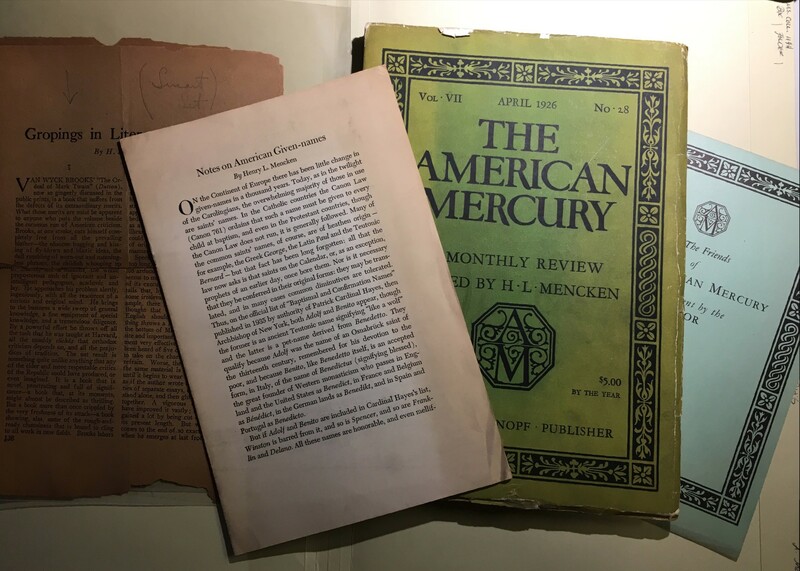 As part of a graduate English course I am taking with Jean-Christophe Cloutier entitled “Behind the Reference Desk: Archival Methods, Forms, Theory” I recently had the opportunity to process a collection of papers belonging to August Mencken. This class has given us the opportunity to read foundational texts of the archival profession, literary criticism engaging the concept of the archive, and literature that problematizes or incorporates the archive as a symbolic and formal structure. In the class we have worked with specialist John Pollack from special collections, including a tour into the very belly of Van Pelt, as well as archivist Holly Mengel, including a tour amongst the many desks of archivists working at Penn. As an aside, the staff at the Kislak Center is incredibly helpful, and if you haven’t used this facility you are wasting your resources, although I encourage you to set up an Aeon account before anything else.